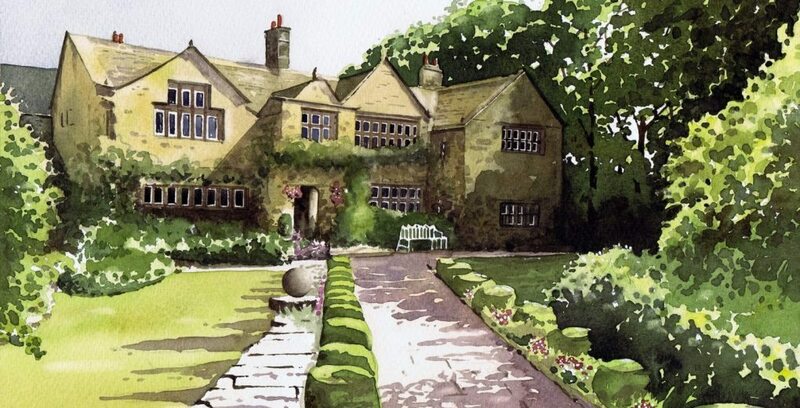 Join professional artist Paul Dene Marlor for a masterclass in watercolour painting at Holdsworth House in Halifax. We are running two courses: Thursday 11 April and Thursday 26 September 2019. The workshop is suitable for all levels of painting ability, from beginner to advanced. All materials are included and you’ll get a mount to frame your picture to take home with you. You’ll also get a two-course buffet lunch from our award-winning chefs and a tea and coffee station for regular top ups! Depending on the weather, the course will take place outdoors in the Courtyard or gardens, or in the Abraham Brigg room. Feel free to bring any subject matter you would like to paint. £85 per person; places are limited. Buy a voucher at reception or book by calling 01422 240024 and telling us which date you prefer. Please advise if you would like this as a gift voucher on booking. Terms: Full prepayment is required to secure a place. In the unlikely event that we have to cancel then all monies paid will be refunded. If you can no longer attend, you can transfer your place to someone else. Or we will try our best to sell your place, but this cannot be guaranteed and money may not be refunded. Postal gift vouchers cost £1.